Settling down in the English Premier League is a huge challenge for every debuting manager, former Napoli boss Maurizio Sarri is the latest to learn how tough it is. After helping Chelsea to go unbeaten in his first 10 games in charge following his move to Stamford Bridge this season, the manager experienced a couple of unfavourable results a few weeks ago. This weekend, it went from bad to worse after a 6-0 thumping away at Manchester City. Sarri has faced problem after problem since taking over in London but the most evident one has been the lack of an efficient striker to lead the team in front of goal, with the likes of Alvaro Morata and Oliver Giroud both failing to produce the spark that is needed to fire the team up front. After his tactical tweaks, which included playing without a striker, or even deploying Eden Hazard as a false 9, which both failed to improve results, the Italian decided to finally solve his headache by luring Argentine forward Gonzalo Higuain from AC Milan. The Blues initially pursued the attacker during the summer but missed out on his signing as he preferred to join AC Milan on loan instead. But, it was just a matter of time before Sarri successfully convinced the Argentine to reunite with him in London. Although it didn't work this weekend, the early signs are positive. Higuain has been amongst the best forwards in Europe for the past few years and there is no doubt he is a better option than the likes of the aforementioned Morata and Giroud. The former Juventus superstar has the grit and physicality that is required to thrive in the English top flight. Moreover, his vast experience, having played in some of the biggest clubs and toughest divisions in Europe will help him to deal with the pressure at Stamford Bridge while his thirst for goal and the zeal to establish himself anywhere he goes are positive pointers that lead Chelsea in the right direction. In addition, his technical skills, decent link-up, and effective positioning will help in bringing the best out of his teammates, especially Hazard. The duo demonstrated perfect chemistry during their recent 5-0 victory over Huddersfield Town, both scoring 2 goals each and earning praises from their manager for their interesting combination. The signing of Higuain isn't a fluke from Sarri. The Italian has worked with the striker before at Napoli and he was able to get the best out of him. During their time together, Higuain reached the peak of his game, making history by scoring an unbelievable 36 goals to help the Serie A side to scare Juventus in the race for the Scudetto in the 2015/2016 campaign. Besides, his understanding with Jorginho, having played alongside the midfielder before now in the Serie A, will make things easier for Sarri as he continues with his efforts to fully establish his system at Stamford Bridge. 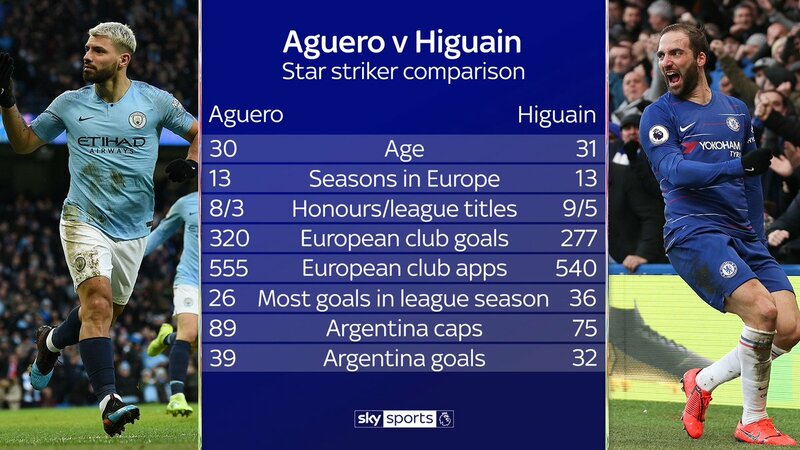 Higuain is a prolific goalscorer; exactly what Chelsea need at the moment. With over 107 goals in La Liga, over 117 in the Serie A as well as at least 20 goals in each of the past eight years, the former Juventus forward has proved himself as being amongst the most efficient strikers of his generation. Maurizio Sarri is building a very good system at Chelsea which has produced very good results against both big and small teams. What he actually needs is the final piece of his jigsaw puzzle; a proven goalscorer to finish the work upfront and that, he has found by signing Higuain. With his incredible abilities, the Argentine will help the Blues immensely in their race to finish within the top four of the Premier League table this season. Nothing compares with the thrill of watching soccer unless it is writing about the beautiful game. If you are an avid soccer fan, you might have heard about this young and inspiring writer who is intensifying the passion in football lovers across the globe, with his interesting stories and amazing analyses. Jidonu Mauyon is a Sports Journalist and a football freak from Lagos, Nigeria. He loves to write about everything that happens within the four corners of the soccer pitch as well as relevant stories from outside it. He started his writing career in 2015 and he has moved forward to contribute lots of pieces on the web - becoming a regular author in many of the top Football Platforms - including the likes of Sportainment, Sportskeeda, CubeSoccer and of course, IRAIW. He covers a lot of topics relating to the English Premier League, the La Liga, Seria A, Bundesliga and the Ligue 1. He is also a great follower of FC Barcelona and a die-hard Lionel Messi fan. You can contact him on Facebook and Twitter.